As many as one in three people over 65 years old have hearing loss in the UK, meaning there is a surprisingly large proportion of the community left unable to fully enjoy everyday pleasures such as conversation with friends, or music on the radio. Hearing loss isn’t something that anyone should have to suffer with in silence, when there are so many treatments available and ready to help. 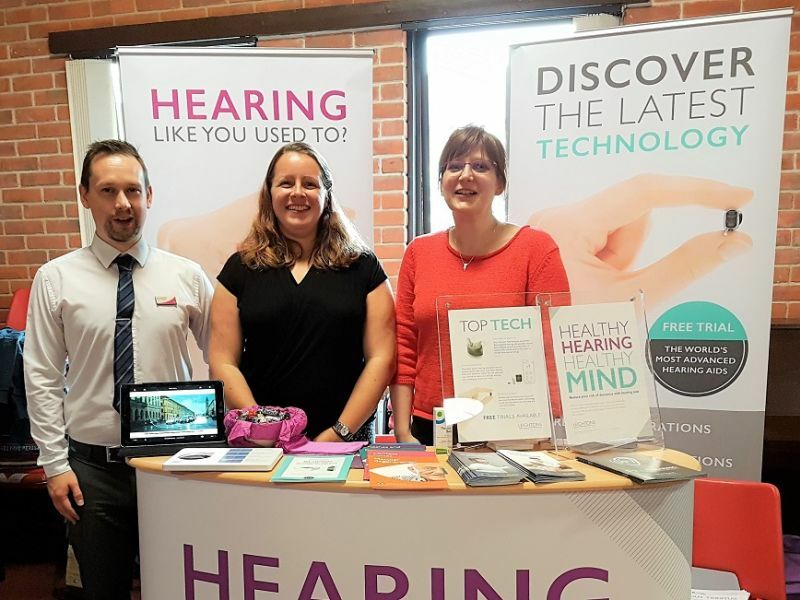 Leightons Chandlers Ford joined a local “Over 60s Services” event to talk to people in their local community about ways to treat, and live with, hearing impairment as well as what can cause hearing loss. Sometimes, just an ear wax removal appointment can help alleviate symptoms of hearing loss such as tinnitus. If your hearing impairment is more severe, Leightons Chandlers Ford supply hearing aids from industry leading brands, tailored especially for you. Hearing aids aren’t what they used to be. Now they can be so small that they fit perfectly in your ear (known as invisible-in-canal, or IIC, hearing aids) and in lightweight materials such as titanium so they remain comfortable all day long. The technology behind hearing aids is now so advanced, you’ll barely notice you’re wearing them. The team from Leightons Chandlers Ford had a great day meeting people and talking about what they're passionate about: helping people live life to the full. If you think you or a loved on has hearing loss, call the branch on 02380 266 181 or book a FREE hearing assessment online with your local branch.